Summer is my favorite time of the year, except for Christmas season of course! 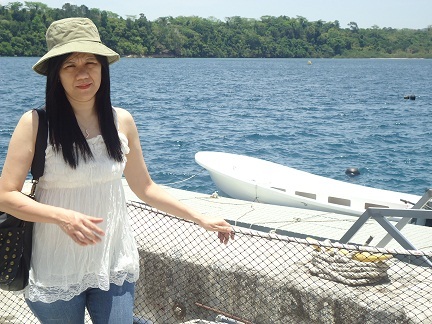 It is normally during summer when we get to visit more fun and exciting places within and outside the country. Since we are very close to SBMA (former US Naval Base), I make it a point that we are able to visit most if not all of the favorite attractions inside the freeport zone. During one of my vacations, I've decided to bring my kids to Ocean Adventure, Subic Bay. Ocean Adventure is located at Camayan Wharf, West Alanin Forest Area, Subic Bay freeport Zone which used to be a US Naval Base. 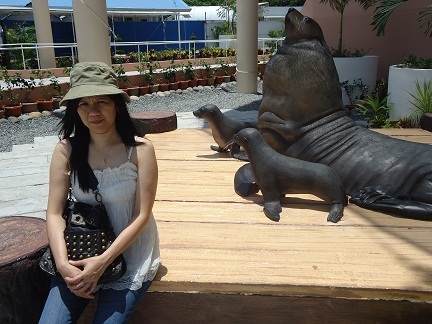 It is roughly 100 kilometers from Manila, about 3 hours drive depending on the traffic but would not exceed 4 hours. 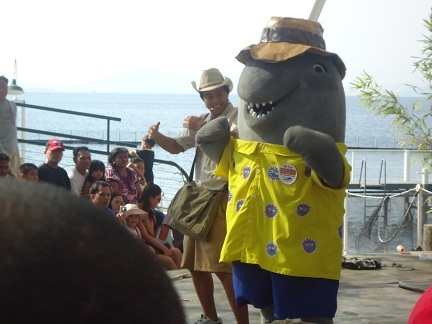 We were very delighted to see the Dolphin show where we were truly entertained by the tricks of these very well trained Dolphins. There was also this Sea Lion show and just like the Dolphin show, it is truly fun and enjoyable. But what I like most about all the shows presented inside the Ocean Adventure is the underlying message of how to take care of the environment and how could we take a part in providing a safe and clean habitat to all animals. Since most of the visitors are families, this is a good way of entertaining and providing values to children. 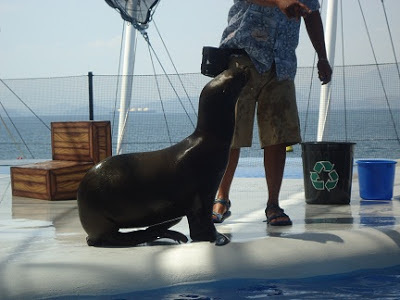 Apart from the Dophin Show and Sea Lion Show, there is also an animal show featuring a variety of well trained animals including dogs, birds, monkey and .... snake??? 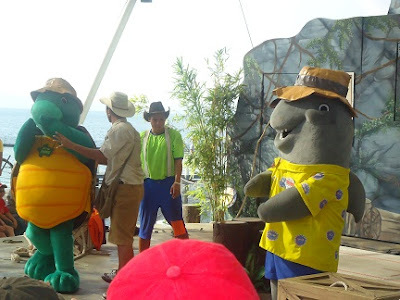 Another show which will bring a great delight to kids will be the "Olongapo Jones" show featuring some mascots with some acrobatic moves from the main stars of the show. 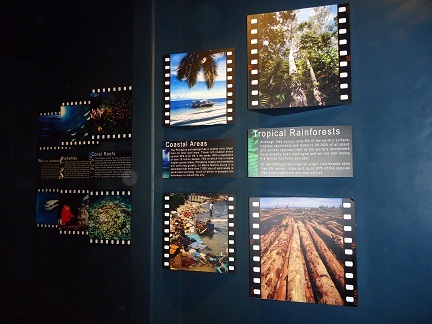 There is also the Discovery Aquarium, a walk through building with numerous aquariums built into the walls. 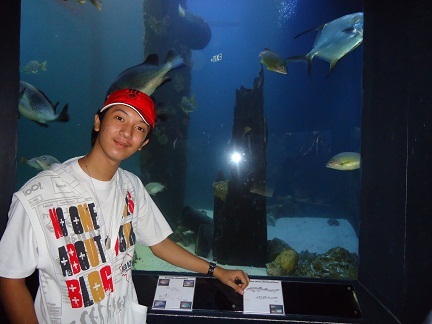 Each aquarium houses different diversities of marine and fresh water creatures. 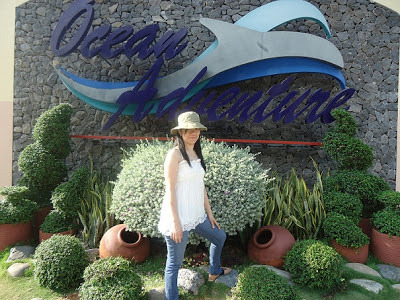 Ocean Adventure remains to be a popular attraction in Subic and judging from what we saw inside and the four shows that we've watched, I think it's worth spending to drop by at the Ocean Adventure the next time you visit Subic. 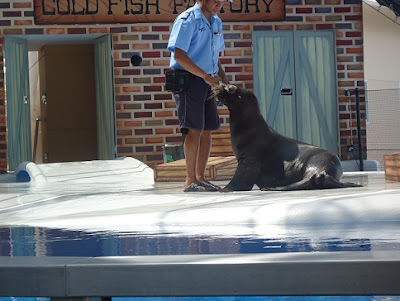 Inclusive of entrance to Ocean Adventure, Sea Lion Show and the Whale presentation. 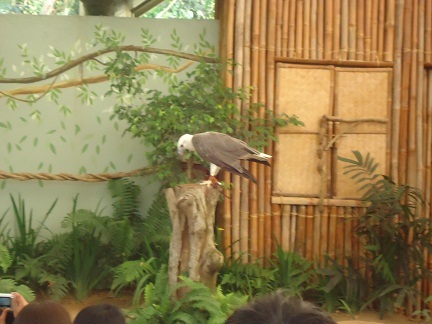 Close encounter with the animals requires additional fees. Wow! Ocean Adventure seems great! I sure want to give it a visit too.